We prefer owners to allow a little time to settle their cat(s) into their chalets rather than simply dropping them off at reception. This often helps both cats and their owners alike. For this reason we have a strict appointment system for viewing, admission and collection of cats to avoid waiting times and limit unnecessary stressful situations for our boarders. 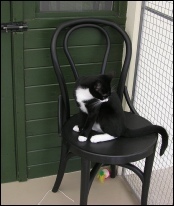 Upon arrival your cats(s) will be introduced to a clean chalet and run with clean bed and bedding, clean litter tray, a small welcome snack and, of course, a bowl of fresh water. Your cat(s) own bedding, scratching post, small items from home and toys are welcome to help your cat(s) settle into their temporary new home. We can provide clean beds and veterinary bedding, although if your cat(s) have their own bedding it helps them to settle more quickly with familiar smells in their holiday accommodation. Please do not wash the bedding immediately prior to boarding - we need the smells!! 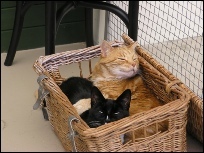 If your cat(s) do not have a designated bed (they will no doubt sleep on chairs, window sills and/or your bed) please be prepared to leave a small item of worn clothing which will hold familiar smells, and we can add it to a bed which we can provide. 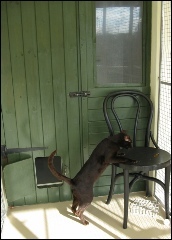 The accommodation is cleaned twice daily (using each chalets individual set of cleaning equipment), when cabins are tidied and litter trays completely changed. We generally feed twice daily, unless the boarder is very young, very old or medically requires more frequent meals when we will follow your instructions. Only the highest quality of cat food is offered (we do not feed ‘Kennelpack’ tinned food or cheap biscuits), but should your pet(s) require a specific or medically prescribed diet, we are happy to feed whatever you supply. We ask you to please think carefully about a treat e.g. chicken, fish etc which your cat(s) may like should they be reluctant to eat whilst boarding. Should your cat(s) be prescribed veterinary medication, providing we have been informed prior to boarding, we are happy to administer said medication provided your cat(s) are compliant. Regrettably we will not administer injections. Please phone to discuss the practicalities of the administration of medicines. We are happy to continue grooming your cat(s), but know from experience that they much prefer their own grooming equipment to be used. As a consequence, we would ask you to bring your cat(s) brush and comb. 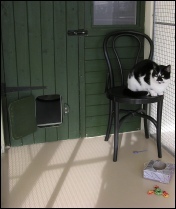 With just family members working in the Cattery, we are able to offer complete continuity of care. Having years of experience with small animals, we carefully observe our boarders, their reactions and behaviour, whilst causing them no stress. Should there be any points of concern, we would feel it our duty to report to you upon your return. Due to these years of experience, we may also be in a position to offer help and advice. We will spend time with your cat(s), stroking, cuddling, playing, grooming or simply talking, offering them individual care and attention. 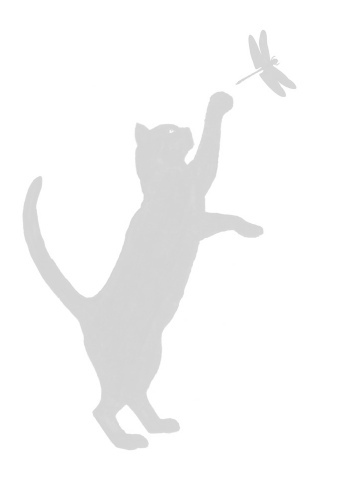 We have found that the amount of time each individual cat wants varies greatly. Some cats love attention and we are happy to oblige, but some cats just prefer a human presence for a short time. Some cats require a little coaxing or a lot of reassurance. We spend time with the cats to get them to reach a level of contentment and relaxation.